But that view comes at a price: a roughly 30 foot drop in elevation from street level to the back of the property. 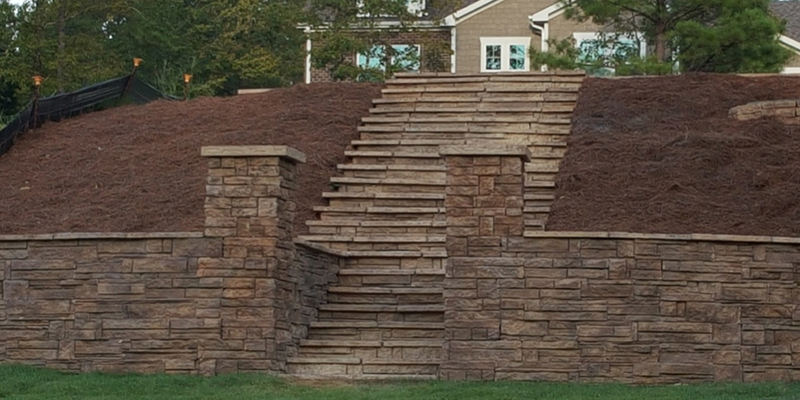 For the home’s retaining walls, Legacy is using a new product from Heritage Block with a simple installation and the look of natural dry-stack stone. The wall block system is touted for having a very realistic appearance without sacrificing performance. The home, which is now in the mechanical-electrical-plumbing stage, is on schedule for completion in the fall. It will be officially unveiled during the 2018 International Builders’ Show, Jan. 9-11. Show registration opens Aug. 1. This article originally appeared on NAHBNow. You can find the original article here.